Asus has launched the Zenbook UX31E in India, its offering in Intel’s new Ultrabook category that looks to provide desktop replacement specs in an ultraportable frame. Compared to the Acer Aspire S3 and Lenovo IdeaPad U300S (the other Ultrabooks launched in India), the 13.3-inch Asus Zenbook UX31E does stand out for its high-end specs. It's the top-of-the-range model in the UX31 series, a fact well accounted for in the Rs. 89,999 price. 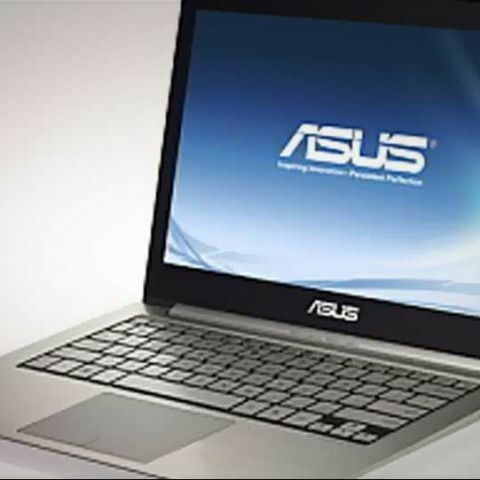 The Asus Ultrabook offering is expected to be in stores by the third week of December. 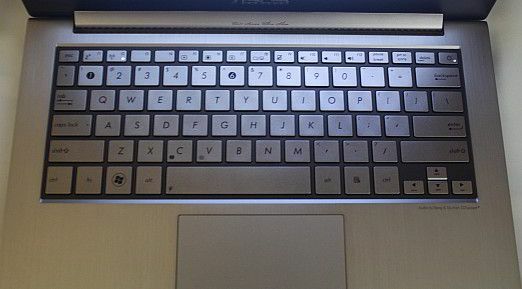 Lower-specced models of the UX31 series are expected sometime in 2012, alongside the 11.6-inch UX21 variants – well primed to take on both MacBook Air offerings. Intel’s Ultrabook category all share certain features in common, a thin and light frame, solid state storage, quick boot and instant-on wake-up times, and a good battery life. Always-on, always-connected features that Intel envisions for Ultrabooks will probably only come by 2012, awaiting the necessary services and software. 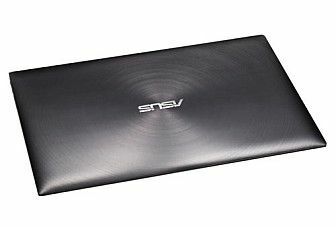 The Asus Zenbook UX31E weighs in at 1.3 kgs, and measures in at a thickness that ranges from nearly 3mm or .11-inches to around 18 mm, or 0.71-inches at its thickest. It runs on one of Intel’s latest mobile processors, a Huron River Intel Core i7-2677M at 1.7GHz (2 core 4 thread, max 2.9GHz Turbo), with 4MB cache, and integrated Intel HD 3000 graphics. The option of Core i5-2557M processor will come later. Asus has also fitted a SATA III 6Gbps 256GB SSD onboard, promising some nifty boot times and performance, coupled with 4GB of DDR3 RAM. 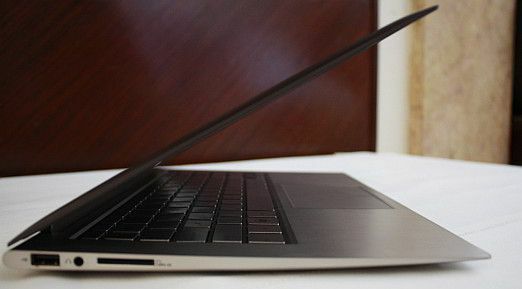 As of now, the 13-inch Macbook Air has a 128GB SATA II SSD onboard as a standard spec. Also impressive for a 13.3-inch notebook, the Asus Zenbook UX31E has a 1600x900 pixel resolution display. It carries a 50Whr battery, non-user replaceable, rated to deliver more than 7 hours of use time, and a 10 day standby time. It comes with the Asus Super Hybrid Engine II onboard, with a promised 2 second resume time. Other features include audio from Bang & Olufsen ICEpower and Asus SonicMaster Tech, a USB2.0 port, a USB3.0 port, microHDMI and miniVGA ports, a USB-to-Ethernet adapter, SD card reader, Wi-Fi 802.11 b/g/n, Bluetooth 4.0, and an integrated .3MP webcam and microphone. Do check out our previous coverage on the other Ultrabooks available in India, such as the Acer Aspire S3 Ultrabook, and the Lenovo IdeaPad U300S Ultrabook. "Don't miss the Zero1 Awards in the December 2011 Collector's Edition of Digit. Book your copy now!"